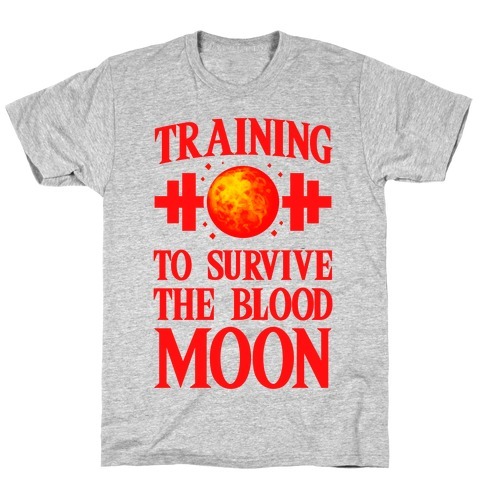 Browse our collection of 64 Blood Moon T-shirts, Mugs and more. Designed and printed in the USA. 100% Satisfaction Guaranteed. 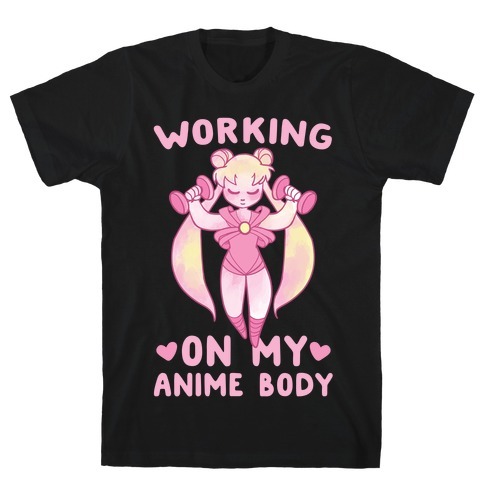 About this Design Wake up and get swole Chibi-Usa in this Sailor Moon Parody Design! 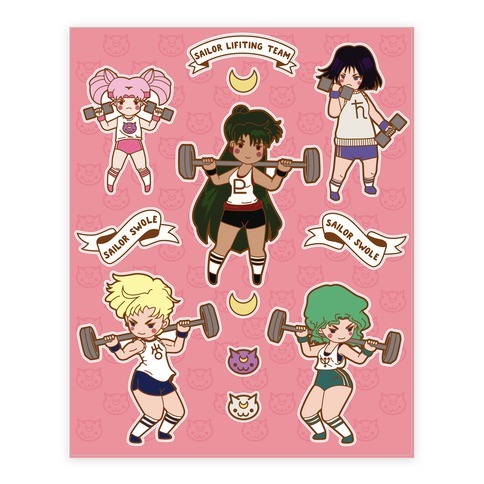 Join the Moon lifting team and channel the Sailor Scout's strength into your next workout. 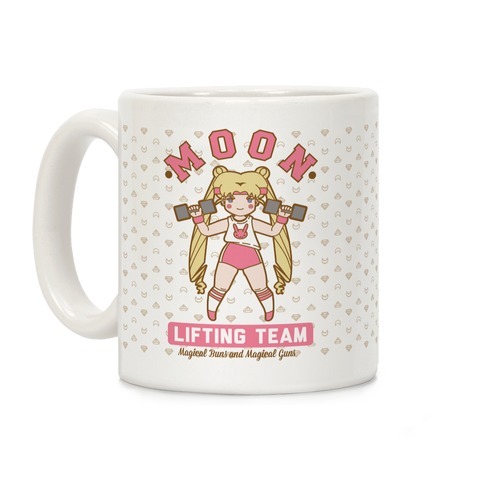 This mug features an illustration of Rini working out and the phrase "Moon Lifting Team: ishing Muscles with Princess Power. 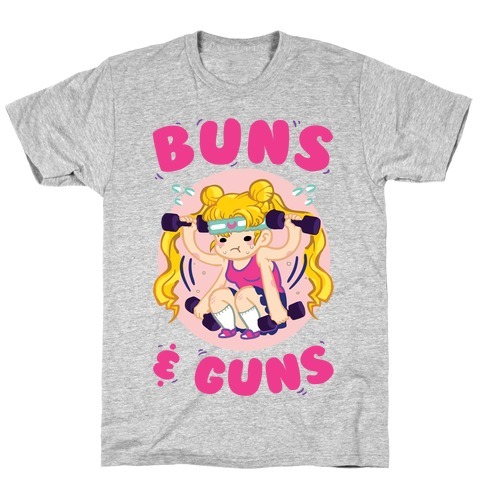 Wake up and get swole Chibi-Usa in this Sailor Moon Parody Design! 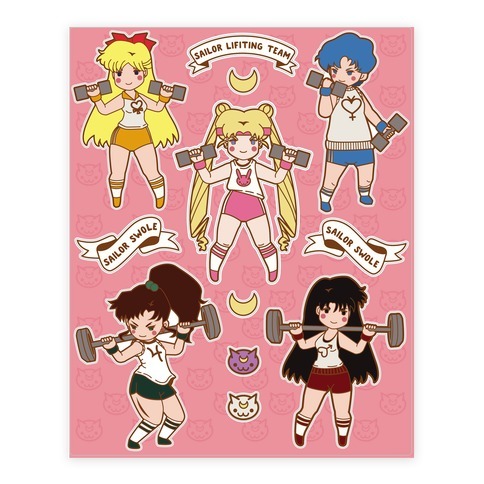 Join the Moon lifting team and channel the Sailor Scout's strength into your next workout. 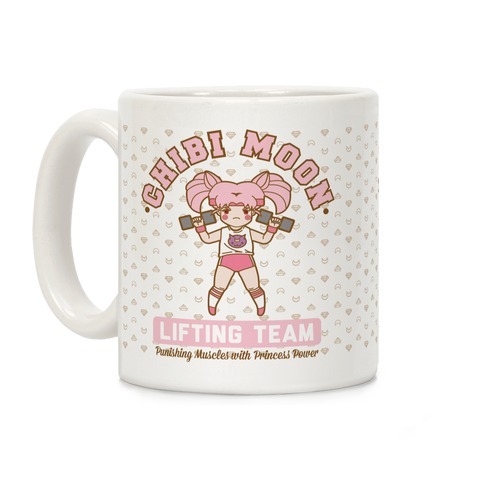 This mug features an illustration of Rini working out and the phrase "Moon Lifting Team: ishing Muscles with Princess Power. About this Design There's nothing like hearing those frightening words "the Blood Moon Rises Again" after just defeating a boss. Train to be ready to take down those bokoblin camps over and over with ease in this gamer inspired fitness tank. And take on all your fallen enemies. There's nothing like hearing those frightening words "the Blood Moon Rises Again" after just defeating a boss. Train to be ready to take down those bokoblin camps over and over with ease in this gamer inspired fitness tank. And take on all your fallen enemies. 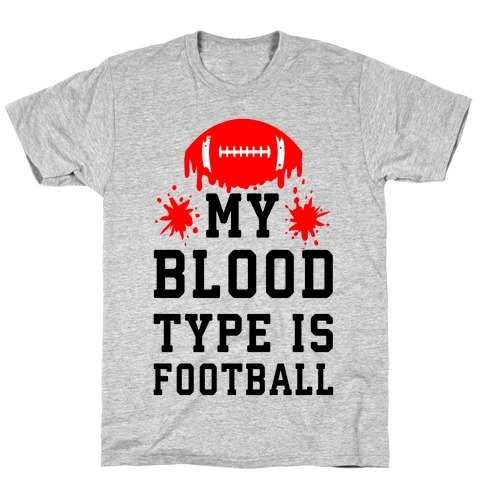 About this Design My blood type is football. Isn't it obvious? I live eat and breath the awesome sport of football. Football, as long as it involves a hottie football booties, helmets and footballs I'll be a happy human being. Some sports are awesome but in the long run football is the one for me. If they ever take my blood little footballs would probably come out of my veins. My blood type is football. Isn't it obvious? I live eat and breath the awesome sport of football. Football, as long as it involves a hottie football booties, helmets and footballs I'll be a happy human being. Some sports are awesome but in the long run football is the one for me. If they ever take my blood little footballs would probably come out of my veins. About this Design Just another day in the rink. 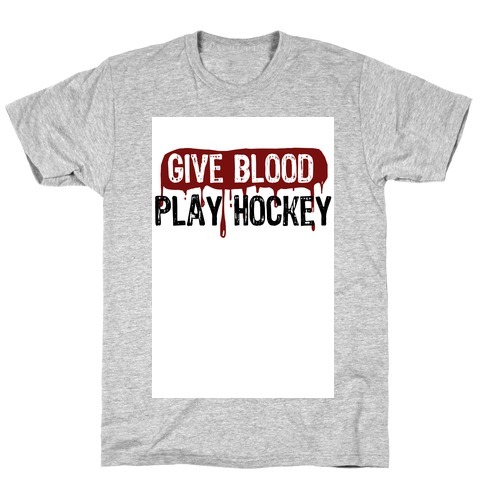 This winter taut your toughness with this Give blood; Play Hockey tee and you are and your friends will get ready to check and be checked! Just another day in the rink. 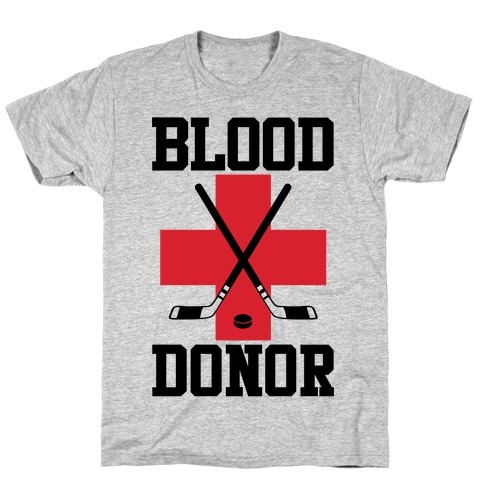 This winter taut your toughness with this Give blood; Play Hockey tee and you are and your friends will get ready to check and be checked! 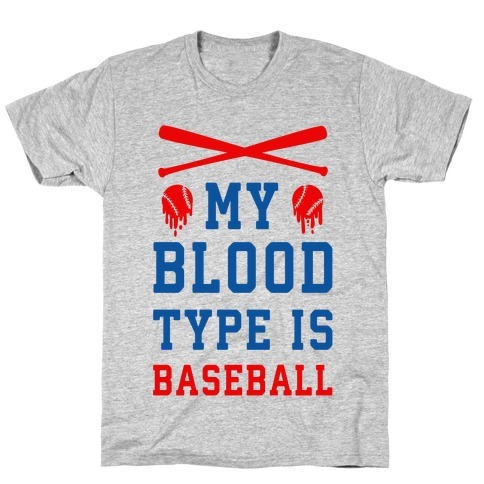 About this Design My blood type is baseball? Isn't it obvious? I live eat and breath the awesome sport of Baseball. Softball, baseball, as long as it involves a bat and a mitt I'll be a happy human being. Some sports are awesome but in the long run baseball is the one for me. If they ever take my blood little baseball would probably come out of my veins. My blood type is baseball? Isn't it obvious? I live eat and breath the awesome sport of Baseball. Softball, baseball, as long as it involves a bat and a mitt I'll be a happy human being. Some sports are awesome but in the long run baseball is the one for me. If they ever take my blood little baseball would probably come out of my veins. About this Design Anyone who plays hockey knows that giving blood is just part of the game! This cool design features a big red cross and a pair of crossed hockey sticks over a puck and the words "blood donor", implying that it you play hockey, you're gonna get bloody. Perfect for fans of the NHL and players of ice hockey everywhere. Anyone who plays hockey knows that giving blood is just part of the game! This cool design features a big red cross and a pair of crossed hockey sticks over a puck and the words "blood donor", implying that it you play hockey, you're gonna get bloody. Perfect for fans of the NHL and players of ice hockey everywhere. About this Design The landing on the moon was one small step for man and one giant leap for mankind. 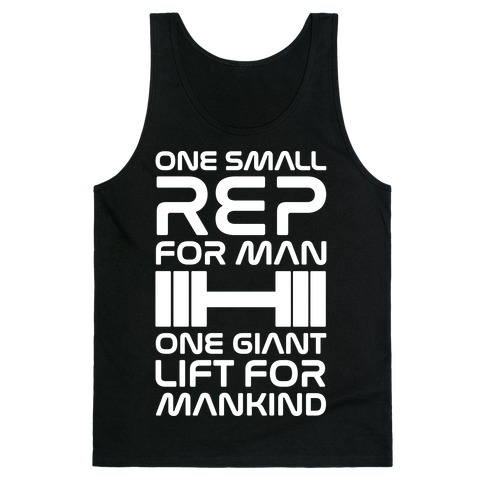 But the lifting at the gym is one small rep for man and one giant lift for mankind! 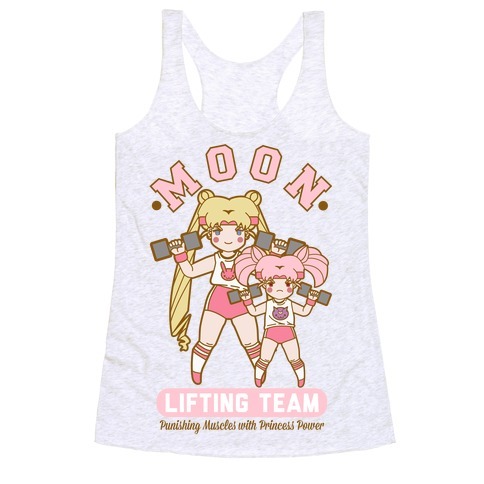 Make great gains like the moon landing did but at the gym with this lifting shirt. The landing on the moon was one small step for man and one giant leap for mankind. 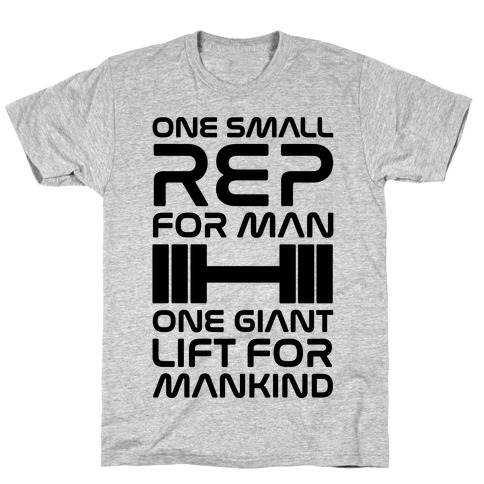 But the lifting at the gym is one small rep for man and one giant lift for mankind! 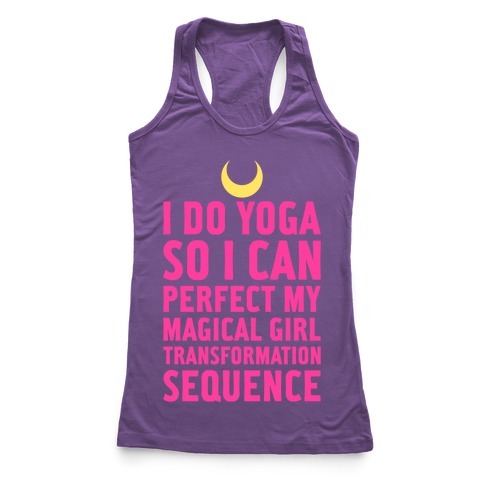 Make great gains like the moon landing did but at the gym with this lifting shirt. 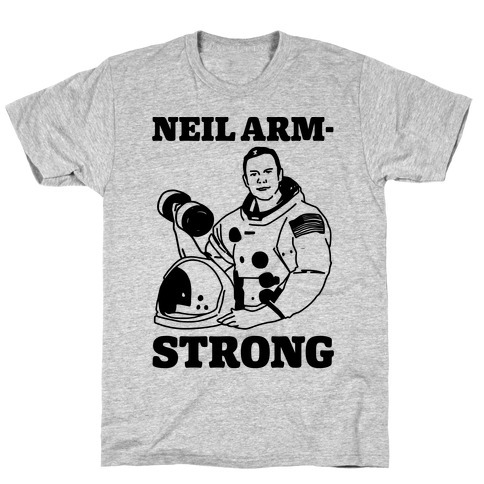 About this Design I train and lift in the gym so I can become Neil Arm-Strong on the moon! Lift big and make your arms strong like that famous astronaut Neil Armstrong with this , nerdy, space, lifting, gym, workout shirt. 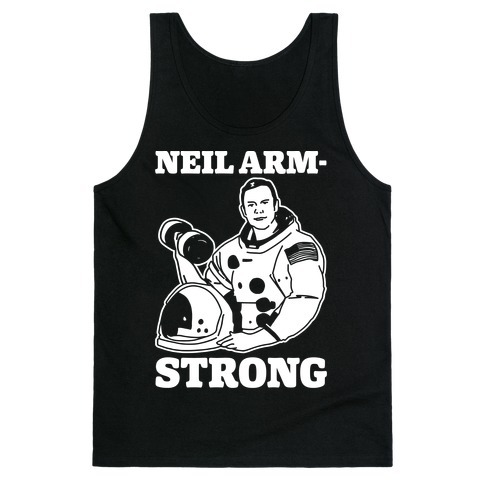 I train and lift in the gym so I can become Neil Arm-Strong on the moon! Lift big and make your arms strong like that famous astronaut Neil Armstrong with this , nerdy, space, lifting, gym, workout shirt.